Here Norway`s fjord country begins and contains some of the country`s most amazing natural sights such as Preikestolen (Pulpit Rock) in Lysefjord. Stavanger is close to mountains, fjords and the beautiful beaches of Jæren, with the North Sea as its nearest neighbour. Like the rest of the cities and towns close to the Norwegian Fjords, you will find Stavanger beautiful placed, close to the mountains, fjords and unique beaches. Stavanger is also neighbour to the North Sea. The city has a rich cultural life, and you can also have an amazing culinary experience here. Stavanger is known for fishing, agriculture and industry, and populate by around 120.000. Stavanger offers a lot of cultural experiences from museums, galleries, music events to festivals. In 2008 Stavanger was elected cultural city of Europe. 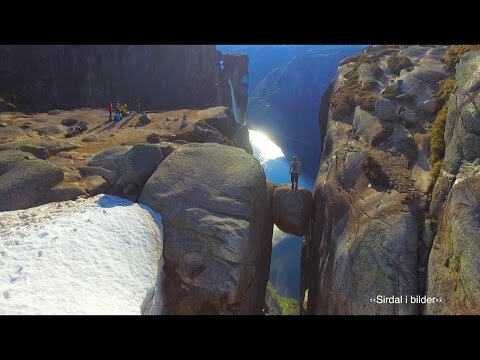 Related to the beautiful surroundings Stavanger offers all kinds of adventures, and one the highlights from here is a tour to the Pulpit Rock, known worldwide. From here you get a fantastic view of the Norway fjords and the wonderful unique nature. It is also very recommended with a sightseeing cruise on the 42 km long Lysefjord and experiences the power of western Norway’s landscape at its best. This historical monument fortress built 1672 by Fredrik III once guarded and protected the city centre from pirates and rambunctious Swedes. Fjords and mountains. The midnight sun and the Northern Lights. To many, Norway is defined by its natural wonders. If you come here, you'll understand why. Dramatic and diverse, Norway's nature ranges from serene forest-covered hills in the southeast and spectacular fjords and glaciers in the west to Arctic wilderness in the north.